Thor: Mjolnir To Victory! UPDATE(10/17/2014)! Thor, as famous as he is bold, is God of the thundering sky. Yet his hammer, Mjolnir is nearly as famous as he is, and Thor will not be parted from it. I will show you how to master his Mjolnir. 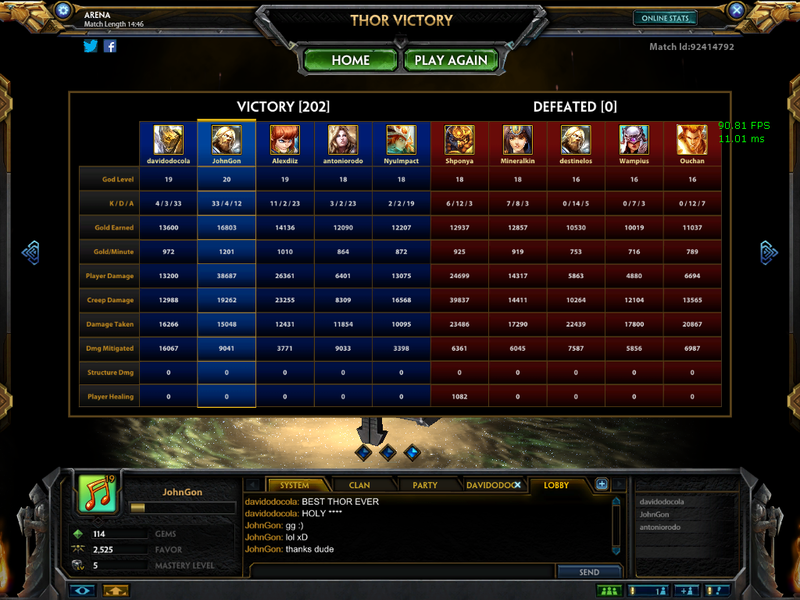 Just because I only have II masteries for Thor, does NOT mean I don't know what I'm doing. I may only have II, but sure as hell I act like a diamond Thor. Mjolnir's Attunement can be easily dodged. Warrior's Madness: This passive is one of my favorites because you could just go in with your Anvil of Dawn and use your Berserker Barrage till your team arrives and your damage will just be too scary for them to try to fight. It is a guaranteed that the ones you hit are dying. 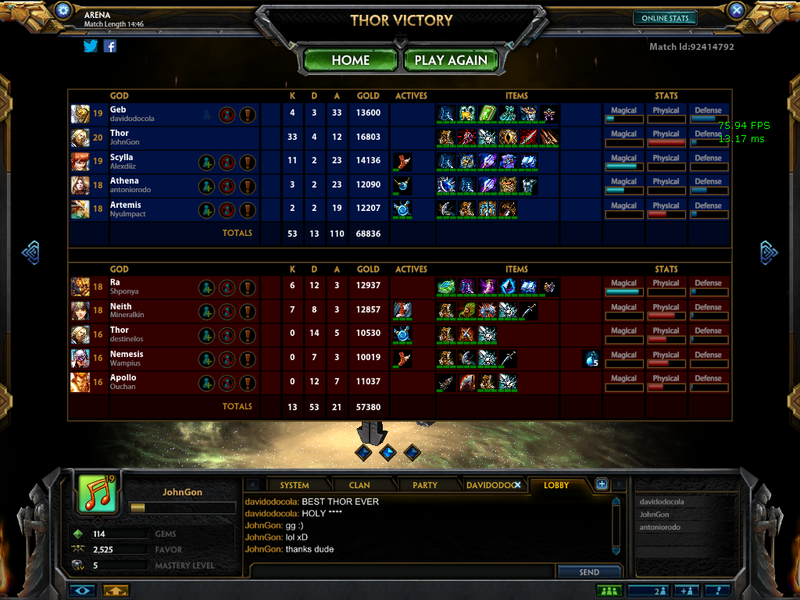 Mjolnir's Attunement: TEH HAMMER, 'Nuff said. This is also one of my favorite abilities. It's helpful in endless ways. You could use your Tectonic Rift then deal the damage with your Mjolnir's Attunement, you could use your Anvil of Dawn > Berserker Barrage > then chase or go out with Mjolnir's Attunement. There are just endless scenarios when this thing is a life saver. Tectonic Rift: If you don't see how this ability is one of the best in the game, then you should see it from my point of view. This ability is the ultimate kill securer. How you ask? Well, someone running away and your hammer is on cooldown? No problem. You use Tectonic Rift and your Berserker Barrage and BOOM! Kill secured. 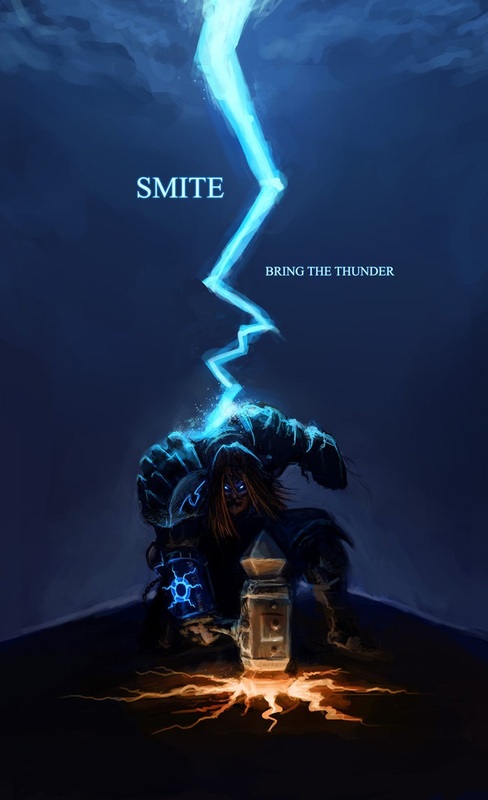 Berserker Barrage: Oh Berserker Barrage the best spin and win ability in Smite... I mean what? Seriously though, this ability is so powerful and easy to hit. Unfortunately, it is just as easily CC'ed. I find it best to use after Anvil of Dawn or Tectonic Rift so the other person cannot CC you immediatly (so you actually do damage with the mana you used). Anvil of Dawn: Since I'm not including the conquest game mode (yet), we cannot talk much about how good this ultimate is when you need to hyper gank. We're going to stick with how good it is when you need to clean up. You could even initiate as Thor with Anvil of Dawn. HELL YEAH! In early game, it provides mobility, power, and a little bit of penetration which are really helpful and a good way to start Thor. Jotunn's Wrath is a really good item since Thor relies best on his abilities. Getting item that could make him spam Berserker Barrage and Mjolnir's Attunement and have your Anvil of Dawn up more often is just amazing. You could argue with me that Deathbringer is a worthless item to get with Thor... And you will obviously lose! Deathbringer is a must on every single assassin in this game. Everybody loves that rigmarole on his assassin because it's just amazing. TEH CRITZ, 'Nuff said. 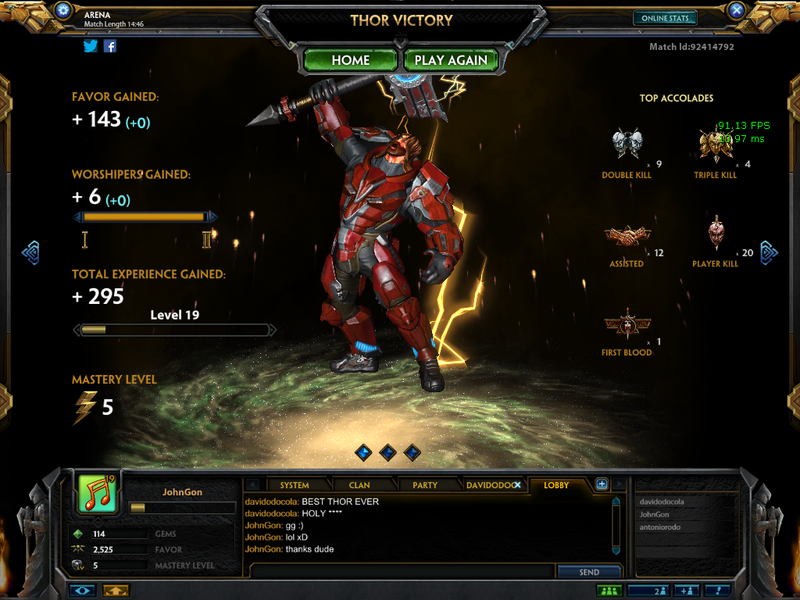 Bloodforge is a good item because it makes our Thor almost immortal. It helps in many 1v1 situations too. You could sure switch it with something like Rage, but I myself choose bloodforge (because I don't always have a "team"). Hydra's Lament is adorable. You use your abilities then hit AA and your enemy is probably -45% health already. It helps you pick up many kills and deal so much damage. Thor doesn't need crit and since his abilities don't proc neither crit nor lifesteal these shouldn't really be the core (or even part of) the build. An ideal build with Thor would be Warrior Tabi , Jotunn's Wrath, Shifter's Shield, hide if the urchin, Titan's Bane, and then either magi's blessing, Witchblade, Transcendence, or Hydra's Lament. You definitely need to explain Thor's combos and how they work. It's probably the only difficult thing about him. Sometimes his wall from his 2 is more useful than the stun so you can elaborate on that. warrior tabi, jotunn's wrath, deathbringer, shifter's shield, bloodforge, and hydra's lament. 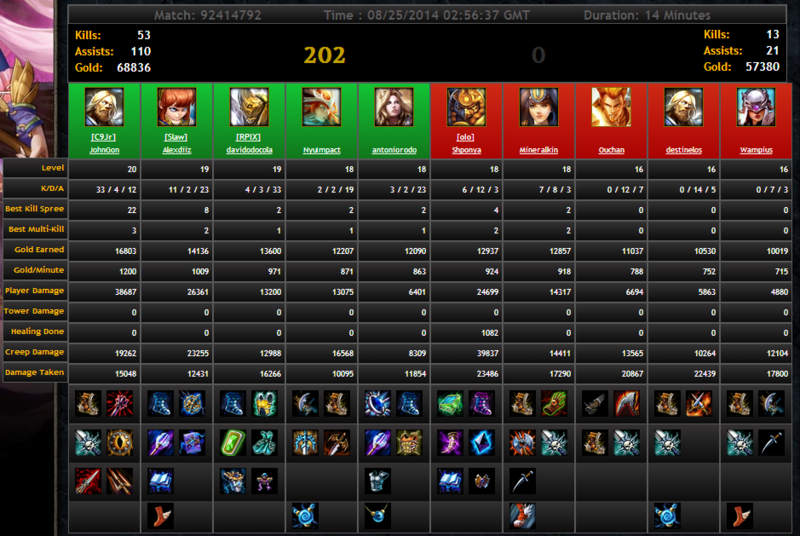 My question is, is this enough if we're going against 2 tanky gods? What would be a possible replacement to maybe 1 or 2 of these items to be more defensive. 78473 Noobs4brunch I like the build: warrior tabi, jotunn's wrath, deathbringer, shifter's shield, bloodforge, and hydra's lament. My question is, is this enough if we're going against 2 tanky gods? What would be a possible replacement to maybe 1 or 2 of these items to be more defensive. Awesome build, most of the strategies are pretty straight forward which is good, but very avoidable with aegis or purification. The other player can't dodge both CC's with only 1 active and if Thor made the other player use both actives, it's worth because then the rest of the team will come and pick up the kill. 74938 davidodocola [quote=Ozzehh] Awesome build, most of the strategies are pretty straight forward which is good, but very avoidable with aegis or purification. [/quote] The other player can't dodge both CC's with only 1 active and if Thor made the other player use both actives, it's worth because then the rest of the team will come and pick up the kill. 74543 Ozzehh Awesome build, most of the strategies are pretty straight forward which is good, but very avoidable with aegis or purification.